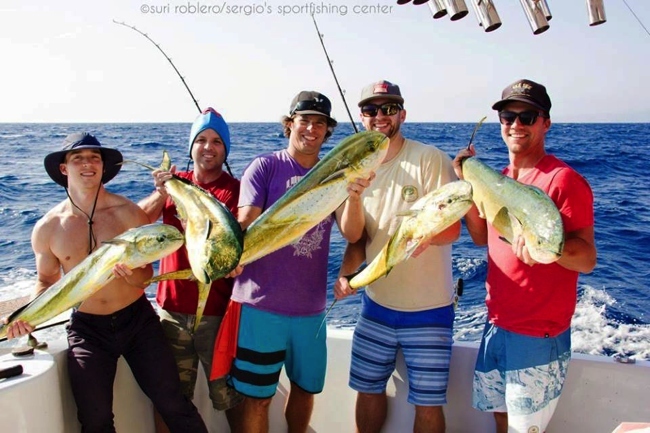 Prime time fishing season in Todos Santos Bay starts in April and ends in October seasonal catches include yellowtail, bonito, barracuda, white sea bass, calico bass, and sand bass. All year long an assortment of great bottom fish are available such as lingcod, white fish, red snapper, rock cod, salmon grouper, sheephead, scorpionfish and other rockfish. To Todos Santos Island, Punta Banda and San Miguel reef departs at 7:00 a.m. and returns at 3:00 p.m. at sportfishing docks. The cost of $70.00 USD plus $10.00 USD one day Mexican fishing license total of $80.00 USD per person includes fishing rod and reel, hooks, sinkers and bait. The price for children 12 years of age and under is $55.00 USD includes fishing rod and reel, hooks, sinkers and bait. If you already have a current Mexican fishing license you don’t have to pay again. 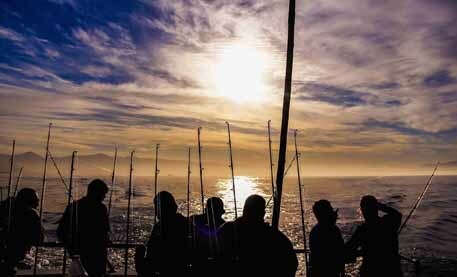 The best way to make the most of a day of fishing in Ensenada is the private charter. Enjoy personalized service just for your group, ample space and trips custom designed to the size, interests and schedule of your party aboard one of Sergio's Sportfishing Center's comfortable, modern vessels. 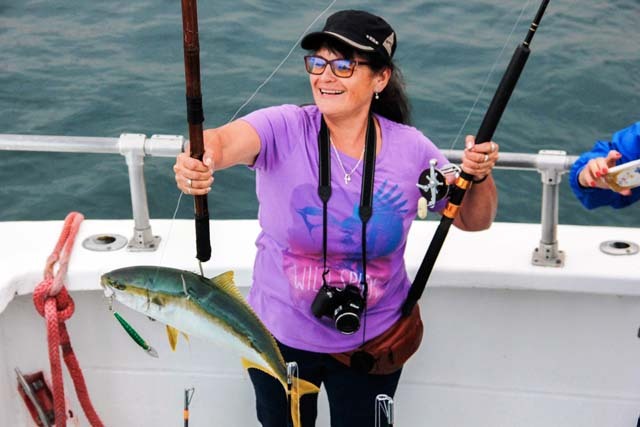 Trip designed to fish the outerbanks of Ensenada from early June through late September trip leaves at 1:00 a.m. and return at 6:00 p.m. at sportfishing docks. The cost of $170.00 USD plus $10.00 USD Mexican fishing license total of $180.00 USD per person includes sleeping bunk, fishing rod and reel, hooks, sinkers and bait. Typical season catches include albacore, bluefin tuna, yellowfin tuna, skipjack, dorado, yellowtail and striped marlin. 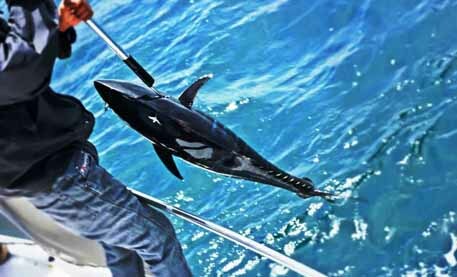 Long range trips are designed for groups that want to experience the best fishing that Baja Norte waters can provide. We only run Long range multi-day trips in high season and on special requests. We charter to Point Colonet, San Martin Island, San Geronimo Island and Sacramento Reef. Prices vary by group size and trip duration. For more information and prices send e-mail or call. While booking your open party or private charter trip, our office can also arrange and suggest hotel reservations. Ask about our free shuttle service available for most major hotels in Ensenada. Our office can also arrange bus charter service from the U.S. into Mexico and back please e-mail for prices and quotes. Charter one of our comfortable vessels for a sightseeing tour, wine tasting, or cocktail party, wedding or special occasion. Catering service available upon request please e-mail for prices and quotes.